Ensure the NEPA process is initiated and completed in a timely manner to avoid project delays. Identify requirements and establish performance goals for site development to ensure the design, construction and operations of High Performance and Sustainable Buildings while validating the Installation Development Plan (IDP). Evaluate the site to determine whether passive and natural design strategies and features are cost effectively incorporated before the active and mechanical systems are designed following UFC 1-200-02. Include utilities and infrastructure in the evaluations and consider near-term or future renewable energy generation and storage development. 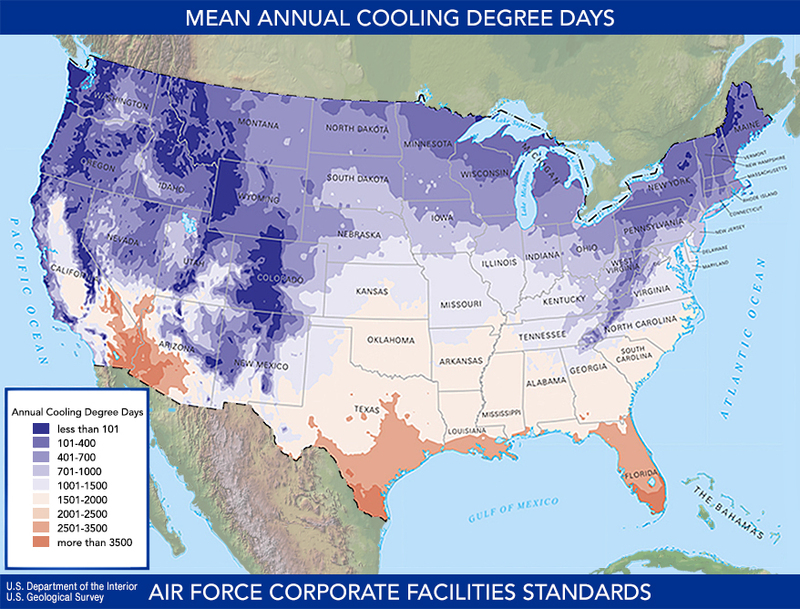 Follow these Air Force Corporate Facilities Standards (AFCFS) and Installation Facilities Standards (IFS) for optimum location of on-site renewable-energy infrastructure. Adhere to base standard systems for protection and conservation of water resources. Identify and preserve site attributes, including predevelopment hydrology, prevailing winds, solar insolation and local and regional contexts—that positively impact the design of the building. Develop passive and climate-based site design strategies that are most appropriate for the given locale to promote energy resiliency. Integrate on-site engineered systems with natural features to lower life-cycle costs, to allow optimum efficiencies for building orientation and stormwater management. Advance climate resiliency and sea level rise by developing risk reduction strategies and providing life cycle cost effective designs that may withstand impacts of potential weather events and climate change. Appropriately develop each site for the Facility Group being constructed (or renovated) following guidelines for “Facility Hierarchy” defined in the Overview section of this AFCFS and the IFS. Fully integrate Force Protection requirements into site design following UFC 4-010-02. Provide relevant and useful connectivity to adjacent facilities and public space, which creates community and encourages pedestrian use, walkability and cycling.